Mark Harrell is the senior pastor of Victory Christian Fellowship. Pastor Mark has been at Victory since it was founded in 1990. After graduating from high school, Mark attended Louisiana State University, majoring in architecture. Accepting his call to the ministry, Mark transferred to Christ for the Nations, in Dallas, Texas, where he completed the Biblical Studies Curriculum. From CFNI, Mark, now married to Jeanette, accepted an associate pastorate at Bethany World Prayer Center, a 6,000 member church in Baker, Louisiana. 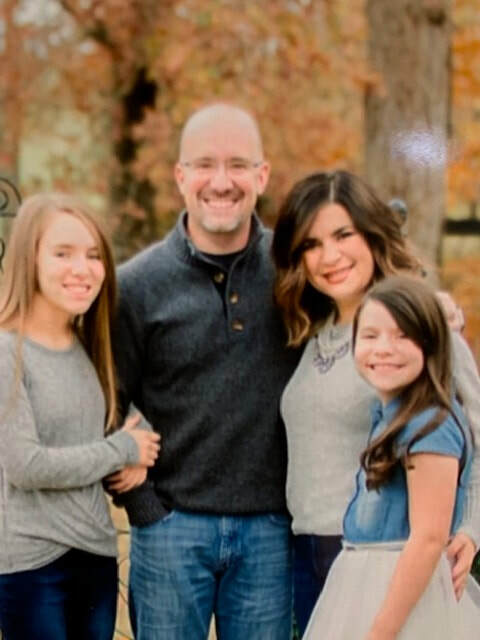 After seven years at Bethany, the Harrells began to feel the call to plant a church. As they prayed, it became clear that Somerset, Kentucky, was the place they were called to serve. Desiring to strengthen and unite Kentucky’s spiritual leaders, Pastor Mark established the “Kentucky Pastor’s Prayer Focus” in 2000. Through the prayer focus, Kentucky pastors come together through prayer, worship and fellowship. Mark, Jeanette and their sons consider it a an honor to serve in the ministry at Victory. Don, Perri and their three children came to Victory in March of 2004 from Bethany World Prayer Center. Don worked at Bethany for seven years, first as Missions Pastor, then as Chief of Operations and Assistant to the Senior Pastor. For the 10 years prior to working at BWPC, the Sams were missionaries in west-central Mexico. Since coming to Victory, Don’s responsibilities have included Small Group Administration, Pastoral Counseling, Teaching and Curriculum, and working with the ushers and greeters. Chris has been on staff at Victory since 1997. Chris and wife Chrissy lead “Marriage Makers,” a ministry to young couples. Chris also leads "Man Up," challenging men to be leaders for Christ in their homes and community. His other responsibilities include evangelism, operations, teaching, preaching, and keeping the rest of the staff laughing. The Edwards have two daughters. Pastor Greg has been in Christian education for 13 years. He is a graduate of Christ for the Nations in Dallas, Texas. Greg and Laura, along with the dynamic "Victory Kids" team, incorporate life lessons, fun, and modern technology to lay a solid, Biblically based foundation in children's lives that will help them to know and trust the character of their Heavenly Father. In doing so, they will be better able to thrive in today's culture. Sundays are fun filled mornings of worship and lessons from God's word brought by Pastor Greg, with help from several interesting characters - the illustrious "Professor Winthemall," the highly principled "Agnes," and everyone's favorite, "Captain Character". Wednesdays consist of JBQ (Junior Bible Quiz practice), Bible lessons, snack time, and gym play. JBQ is a tremendous tool to help kids learn God's word in a fun, competitive, and structured environment. Andrew graduated from Christ for the Nations, and their third year worship program; Adrienne from Rhema Bible Training Center. Andrew has a passion for worship and serves as worship pastor and associate pastor on staff. They have both been involved with the Wings of Refuge in Louisville for years and are excited to be a part of its recent expansion to the Somerset location at Victory Christian Fellowship. They are the proud parents of three-year-old son Coen, and newborn son Declan. Charlene joined our staff in May 2016 and has been a part of Victory Christian Fellowship since 2006. She is actively involved in the Women of Courage bible study, women’s bible study, and is also a graduate of Victory School of Ministry. Charlene enjoys working in her spiritual gift of service to others. Charlene has one son and four grandchildren.